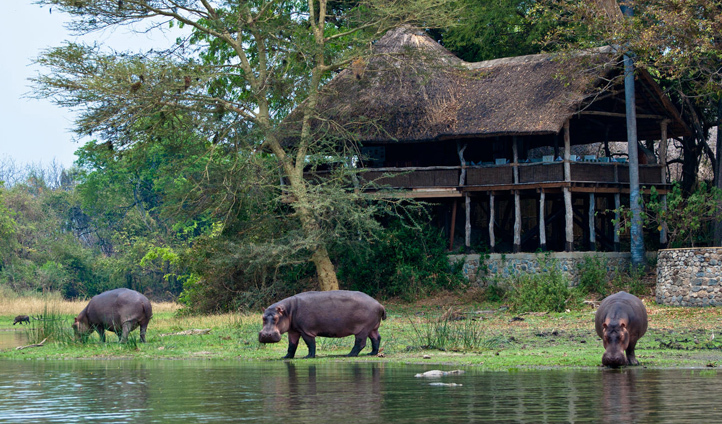 Nestled on the banks of a tranquil lagoon in the heart of Liwonde National Park, Mvuu Lodge is surrounded by lush vegetation and abundant wildlife. 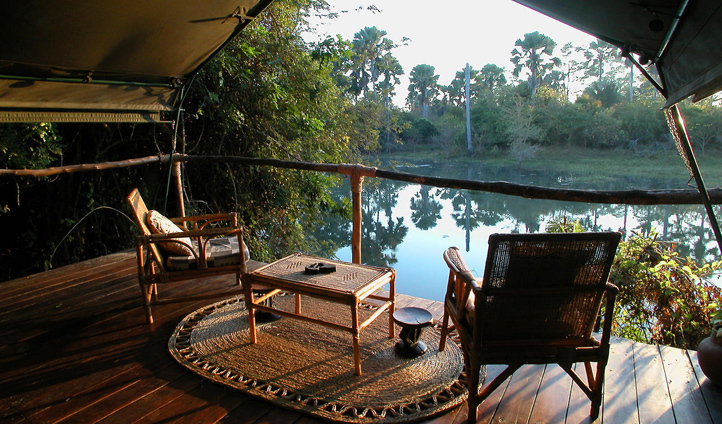 From the decks of the eight beautiful safari style tents, gaze up-river and watch as colourful birdlife flits overhead and hippos wallow below. Translating as ‘Hippo Lodge’ in Tongan, sightings of these water-loving creatures are almost guaranteed at Mvuu Lodge – no more so than on the lodge’s park-exclusive boat safari along the Shire River. An intimate getaway in secluded wilderness, Mvuu Lodge was never going to be just down the road from the airport. From Chilkela Airport in Blantyre, it’s a 2-hour 45-minute drive through ‘the warm heart of Africa’, as Malawi is affectionately known. Take in the sights and sounds of the bush before arriving at the camp and embarking on a number of safari adventures. Choose from day and night game drives, boating safaris or walking trails. Despite being one of Malawi’s smaller national parks, Liwonde offers fantastic game-viewing opportunities with the Shire River bringing animals of all sizes flocking. A stay at Mvuu Lodge is nothing short of luxurious with the eight safari-chic stone and thatch tents all boasting ensuite facilities and private decks to gaze out over the water from. But for a room with a difference? Spend a night sleeping out in one of the lodge’s Star Beds. On raised decks, open to the elements, it’s a truly immersive experience as you drift off to the night-time soundtrack of Liwonde’s vast floodplains, open marshes and mopane woodlands. Mvuu Lodge ticks all of the standard safari boxes – but it’s the little extras that we love. Take the game drives. Yes, they offer the usual morning drives, but for something that bit more special, why not head out for sundowners in the bush before a night-time drive? Or, if you fancy a break from the usual safari 9-to-5, Mvuu Lodge also offers bike rides through local villages, visits to a local school and stays in a traditional rural village for a truly authentic Malawian experience.